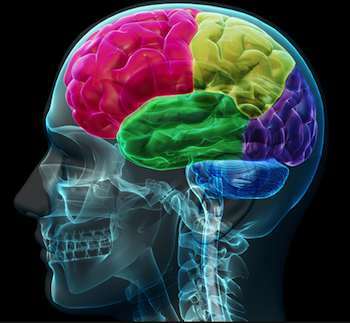 Cognitive brain health is your brains ability to function at a high or a low level, affecting your concentration, memory, attention span, understanding speech and problem solving proficiency. In other words, how fast your brain processes and acts on the information it has been given, for example, from another person or by the message your brain receives when you feel, touch or see something. Memory problems are normally minor, but a small minority of people develop serious memory and brain conditions like dementia and Alzheimer's. In another article, we talk about how krill oil could help Alzheimer's patients to see some relief from their symptoms. For other people, as they get older, they may suffer with milder memory problems, making daily life quite difficult and confusing. Simple tasks may become too complex to carry out, for example, reading a ‘step-by-step' instruction leaflet might read as complete nonsense, and multi-tasking becomes less achievable. Fortunately, there are certain things you can do to retain cognition, which is even more important as you get older. We will discuss these further into the article, but for right now, I want to highlight why omega-3 essential fatty acid (DHA & EPA – the major components of omega-3) is such an important nutrient for your cognitive brain health. Without the presence of omega-3 in your system, your brains functionality starts to deteriorate. It is not something that you will notice as the effects can only be measured over the long term. But it is still obviously important that you understand this reality, which has been proven in much research, the results of which have been well published. Omega-3 is an essential fatty acid, which means that your body cannot produce it. For your body to obtain this nutrient, you must add it to your diet (which most people do not). There was a time when you could easily get the daily required amount of omega-3 just eat oily fish several times a week. But sadly, today it is very different story. We are constantly being warned about the dangers of eating certain fish which are high in omega-3, because it is contaminated with metals like mercury, as well as other industrial pollution. So we must find alternative ways to make sure we are getting enough in our diet. Your brain is fundamentally in charge of everything you do, like raising your arm, putting one foot in front of the other and even waking up after a nights sleep. But your brain is also very susceptible to the harsh, external forces we frequently encounter. It makes millions of decisions every day based on your activity, and not just the ones you are conscious of! It also deals with the stresses placed on it from every day life. This puts an additional strain on its functionality, particularly if your life is quite stressful. Performing all of these actions, together with eating a poor diet, lacking in one of its most vital nutrients, omega-3 or more specifically DHA (Docosahexaenoic acid), causes your brain to function less efficiently. Poor lifestyle and diet choices have been indicated as the cause of reduced cognition in people aged as young as twenty or thirty. And older generations have usually gone through life not knowing anything better, just eating the things they grew up eating – saturated fats, salts and sugars. This is perhaps why we have an ever increasing aged population, now suffering from Alzheimer's and dementia. They honestly just don't know or understand that their body needs certain vital nutrients for it to function normally, they just accept that they are ‘getting old' and the ‘memory problems' which accompany ageing. To live a healthy life and keep your brain functioning at its peak, there are certain steps and rules you can follow starting right now, that will help. If your diet allows it, also consider drinking one cup of black coffee per day. Drinking caffeine in moderation has also been proved to help brain function and reduce memory loss. We hope you understand now, the importance of ‘essential fatty acids', but we should also address saturated or trans fats which are present in almost every meal we eat. Over the last few decades, since the start of mass production of processed foods, our diet (generally speaking) has fallen short of good fats. They have been replaced by trans fatty acids like hydrogenated oils. These bad fats upset the interactions and processes within your brain, slowly weakening its infrastructure. Over time this infrastructure starts to fail with this constant invasion of trans fats and lack of DHA. The consequence of this is the brain starts to cope less and less with the emotional worries, stresses and trauma of today's contemporary lifestyle. And if this incessant poor lifestyle is carried on through life, at some point, your brain becomes less effective at doing its job. 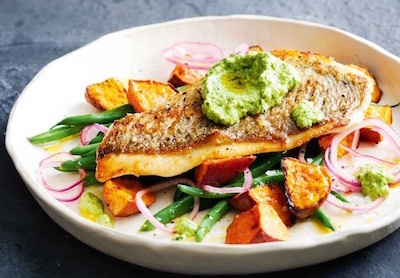 While it is usually always best to get your nutrition from your food, in the case of omega-3 fatty acids that would mean eating oily fish practically every day of the week. This is not always practical. Not only does it cost a small fortune, but you also run the risk of consuming (industrial) pollutants like mercury in certain fish, because some seafood is not safe to eat any more. So it's better to obtain your essential fatty acids in supplement form, avoiding the risk of self poisoning. Research proves, in an article published on The US National Library of Medicine website (included in references, below), how important omega-3 EFA's are to brain health. They describe how human diets have changed over the decades, and thus how the large human brain has evolved as a result. It discusses a vast amount of research and results on the effects of essential fatty acids on brain tissue and its functions. “Studies aiming to demonstrate that DHA is effective in the prevention of age-related cognitive decline have so far shown promising results. The evidence for a pharmacological or nutraceutical effect of DHA in the prevention of age-related cognitive decline remains an emerging and promising area of research”. A laboratory study was also conducted on the effects of krill oil had on rats learning and memory abilities. Rats which were administered phosphatidylserine (PS) isolated from krill oil, performed at an increased memory capacity. Researchers concluded that krill oil could be used as an effective treatment to improve memory in older people. Krill Oil is Better For Your Brain Than Fish Oil? You may already be taking fish oil and wonder why you should change to krill oil. Well, both have similar properties, in fact krill oil contains less EPA (eicosapentaenoic acid) and DHA (the main components of omega-3). Krill oil is vastly superior to fish oil, considering how easily it is absorbed and used by the body. In fact, this is a ‘no-brainer' as they say, because krill oil gets absorbed by your body up to fifteen times faster than krill oil. And your body only utilizes around 50% of any fish oil supplement, whereas your body uses 100% of krill oil. Plus, there is no mercury or other polutants in krill oil, that you will probably find in your fish oil supplements.